Two Jiading-based manufacturers received trophies from the district's director for their products. Two Jiading-based manufacturers received trophies from the district’s director for their products. 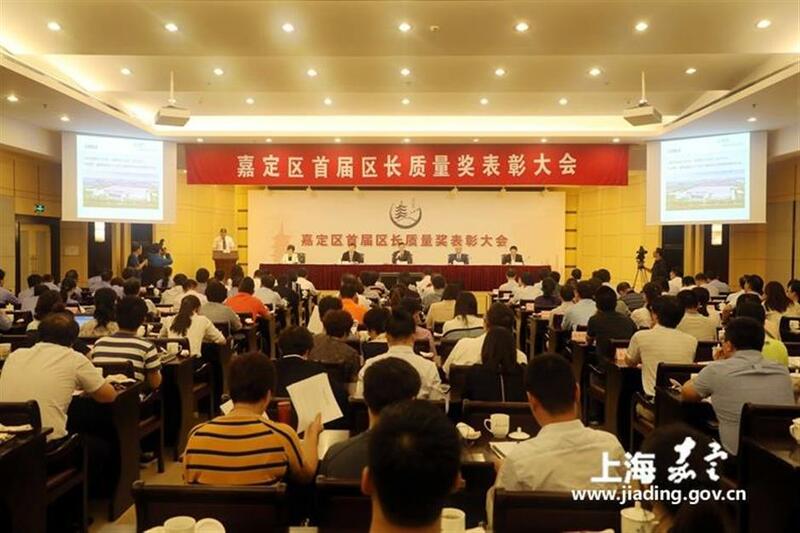 Shanghai Tianling Switch and Shanghai Automotive Brake Systems Co (SABS) became the first winners of the Jiading Quality Award. Switches produced by Shanghai Tianling are widely used in subway trains, airports and electric substations which power a neighborhood, among other applications. Shanghai Tianling mainly focuses on the development, production and sales of power transmission and distribution switchgear for medium voltage applications. It plays a leading role in industry and has sold 2 billion yuan (US$302 million) of products and contributed 100 million yuan of tax revenue. The achievement made is mainly because of the high quality of the company’s products. Shanghai Tianling invested more than 20 million yuan in the introduction of laser welding equipment and spent another 10 million yuan importing helium leak detection equipment from Germany which largely improves the quality of the products and the manufacturing efficiency. Meanwhile, SABS focuses on constant improvement of its products. Staff are given cash rewards if they detect problems. Worker Si Jilong discovered tiny damage inside a product that detectors failed to spot. Thanks to Si’s report, engineers solved the problem in time to avoid much bigger losses. SABS adopts the latest technology to ensure quality control which is the key to the excellence of their products.